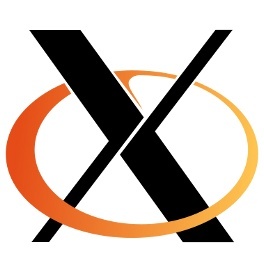 The new driver API for the X.Org Server that would finally allow for the X.Org stack to better compete with modern desktop drivers on Windows and Mac OS X, may actually see the light of day, prior to the Wayland push. - GPU offloading in conjunction with DMA-BUF PRIME. This would be like modern NVIDIA Optimus and a step closer to CrossFire/SLI-like support. - USB device hot-plugging for the X.Org Server. - GPU switching between two drivers for an active X.Org Server session. More technical details about this DDX driver API re-design that has been going on for months can be found on David's blog. When the push does change, all of the X.Org drivers will need to be updated to take advantage of the API... The Intel / Nouveau / Radeon support will likely be there on time, but some of the more obscure drivers may take a while. Or it might just be the time to put the vintage/obscure GPU hardware support out to the pasture, seeing as it took nearly three years for one driver to be updated with support for modern X.Org Server compatibility and months of time for other drivers. Though there are defines within the code to allow for API compatibility with the old design. Or by the time all of this work lands, more people will be then looking at migrating to Wayland... It's unclear at this point when the work will actually land as if it will make the X.Org Server 1.13 merge window for release in September, since right now the latest patches have yet to be reviewed. Keith Packard did mention, "Yeah, no love for X server API changes this year." The latest patches, which represent the first part of this work, can be found on the mailing list.